Earlier this month, the US Holocaust Memorial Museum announced it was revoking the prestigious Elie Wiesel Award granted to Suu Kyi in 2012. 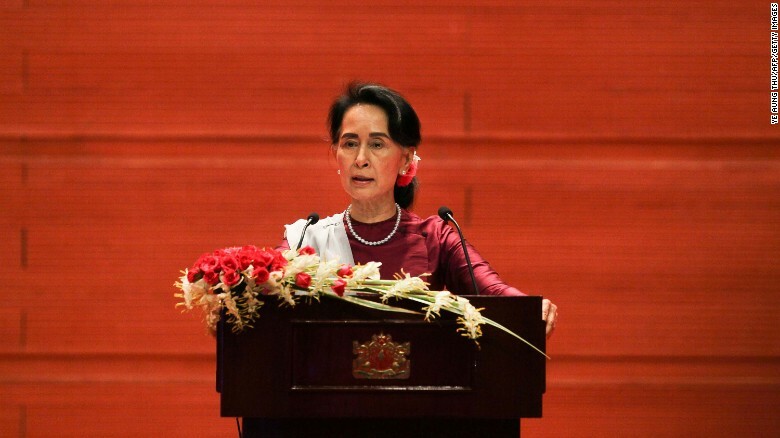 According to the Museum, the award was revoked because she had failed to intervene in the humanitarian crisis unfolding in the country’s northern Rakhine State. Suu Kyi has been stripped of a number of prestigious awards amid allegations of ethnic cleansing of the country’s minority Rohingya population. More than 688,000 Rohingya refugees have fled Rakhine State since August. Myanmar’s military has continued to deny claims that it deliberately attacked Rohingya civilians. In a letter to Suu Kyi, museum director Sara Bloomfield insisted they “did not take this decision lightly,” but were compelled to act in light of mass displacements and killings attributed to the country’s security forces, CNN reported. According to CNN, while Suu Kyi’s political influence in Myanmar is limited under a power sharing agreement with the military, she has been widely criticized for not taking a stronger stand in support of the Rohingya following mass displacements and disproportionate violence. “As the military’s attacks against the Rohingya unfolded in 2016 and 2017, we had hoped that you — as someone we and many others have celebrated for your commitment to human dignity and universal human rights — would have done something to condemn and stop the military’s brutal campaign and to express solidarity with the targeted Rohingya population,” Bloomfield wrote in the letter, posted to the museum’s website.